Nippon Kodo Morning Star Incense Cinnamon 200 Sticks and Holder. Best selling incense for daily use. 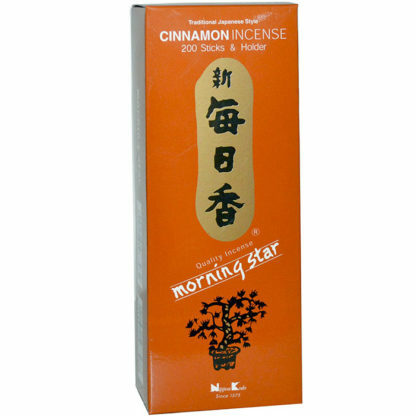 Morning star incense was created in the 1960’s in Japan. 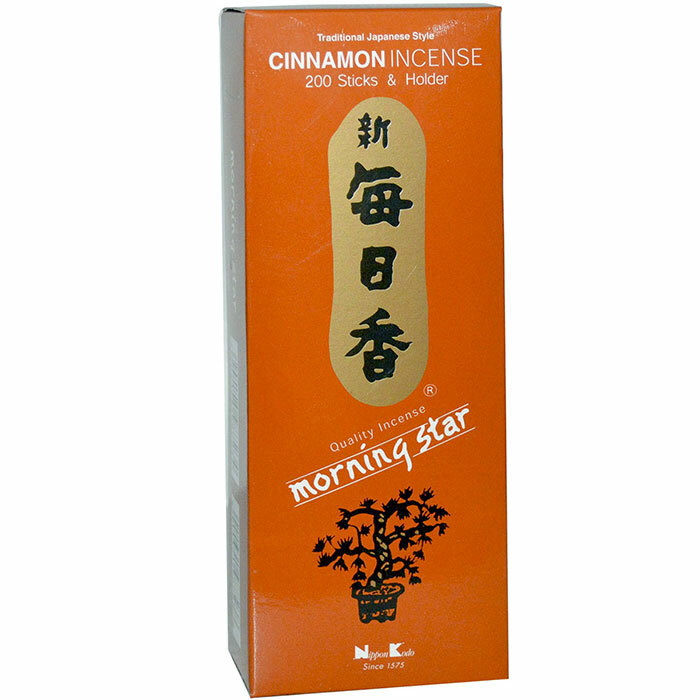 Morning star incense has been loved for over 40 years by not only Japanese but people all over the world. 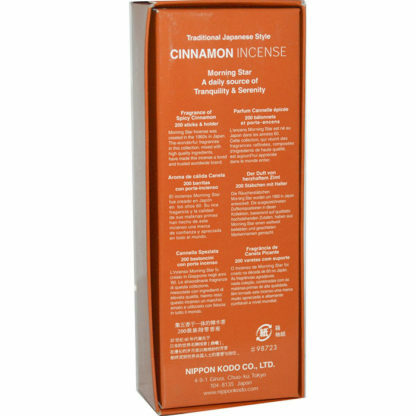 The powerful fragrances in this collection, mixed with high quality ingredients such as pure floral essences and aromatic woods, have made this incense a loved and trusted world wide brand. 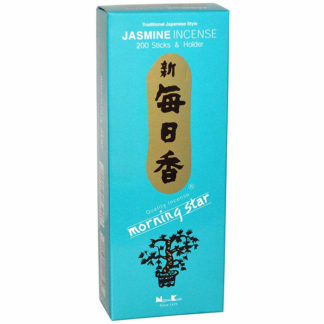 Morning star is perfect for when you want to create a relaxing atmosphere for meditation, prayer, and yoga. This is a value package and contains 200 sticks. 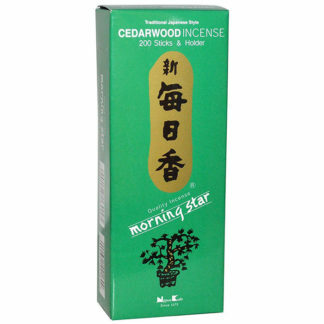 Morning star sticks have no bamboo core, which means, there is no wood odor when burning so that you can enjoy the true fragrance of the incense. Each box includes a ceramic tile burner.